Designed by Ben Wahrlich for ANAESTHETIC, Constellation is a range of luxurious pendant lights inspired by star patterns. "For us, staring up at the sky on a clear night, and looking at the sheer beauty and vastness of space is very humbling. We wanted to capture the essence of this feeling and recreate it indoors, in an abstract, luxurious and contemporary manner. And so, Constellation was born." Each star is represented by a globe and the connecting brass rods reflect the lines typically drawn to illustrate the star pattern. The constellations chosen are unique to the Southern Hemisphere, so naturally, the first choice was the Southern Cross. The range of 6 options is designed for areas of different scale, from a 2 light combination - Gemini, to a stacked 6 light combination - Pisces. In addition, the simplicity of the construction enables multiples of one constellation to be utilised where required and custom arrangements can easily be designed to suit a specific space. Constellation is created using ANAESTHETIC's precision machined Bala pendant, modified to incorporate a solid connecting rod. 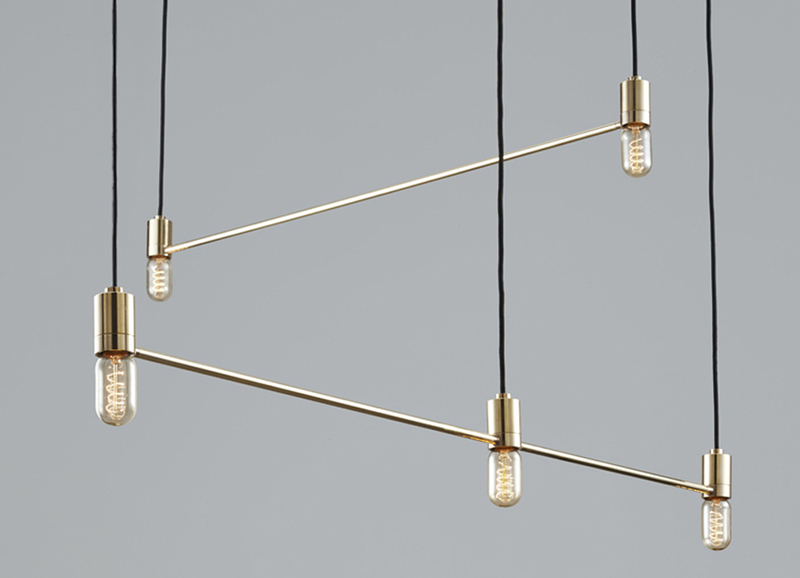 Each light is made from polished, solid brass, with hanging options of cloth braided cable, or solid brass tube. The constellation lights are greater than the sum of their parts. They are beautiful and engaging from all angles and are a feature piece and talking point for any project. They emanate personality in a luxurious and contemporary aesthetic and most of all they tell a story of where we are in the universe.